Whatever the formal occasion and wherever it is, it will progress more smoothly with my help. I will be a person of presence who can turn a good event into a ‘great occasion’, smoothly organized and superbly presented. I have been privileged to have been involved in many formal events. Add to this my training as a Toastmaster, and I know that I am well qualified to handle any event that I am engaged for, anywhere in the country. By choosing me as your Toastmaster for your special day you will not only be satisfied but also delighted by the service I provide for you. I have the back up of Public Liability Insurance cover. In the case of illness or accident a Toastmaster of the same standard will be provided. My role is to make sure it runs perfectly. I want you and all of your guests to relax and enjoy your day with confidence, knowing that you are in my very capable hands. My experience as a professional toastmaster will ensure your wedding runs smoothly. I want to create your perfect day, so that you can relax and enjoy it to the full. I will, if required assist with your planning, advising on etiquette and protocol, table plans, seating priority, speeches and toasts. I am your toastmaster for the day, so more than happy to help. As your toastmaster on the day, I make sure that all the careful planning comes to fruition and that your wedding runs exactly as you wished. The range of events that will run more smoothly in the hands of a professional toastmaster is broad. 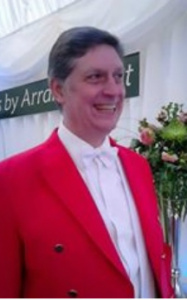 Whatever your occasion, the red coat will bring a certain style and my professional expertise will give you confidence. Philip Watson – Toast Master and Event Co-ordinator : I can act as your toastmaster and, if required, undertake the wider role of event co-ordinator for your formal dinner or function – whether you are a private individual, a charity, an association or corporate business, located anywhere in Cumbria, the lakes, or in the wider UK. I can advise on the correct protocol to be used on formal occasions – including matters such as seating priority, table planning, the announcement of guests, Grace, wordings for speeches and toasts and much more. 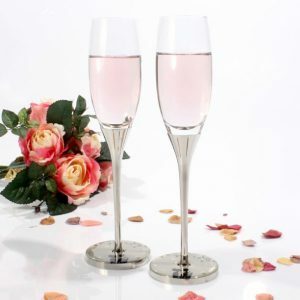 As your event co-ordinator, I make certain your function runs smoothly, ensuring all your planned events happen on time. On your behalf, I will liaise with the hotel or caterers and generally ensure that your event is problem free, leaving you able to relax and enjoy the occasion. I can welcome your guests as they arrive and introduce them if required. I announce dinner, or the commencement of the event, and announce any formal parts of the occasion such as the speeches and toasts, ensuring the correct protocol is observed. I am the voice of authority at your function. I am experienced in gaining attention and my presence at the dinner will add dignity, style and colour to your event.